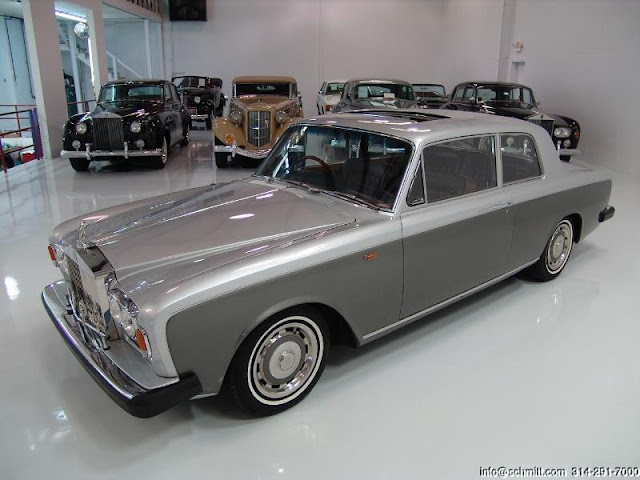 In the words of Marinus Rijkers of the excellent site www.rrsilvershadow.com, "There are not many pictures available of the James Young models. 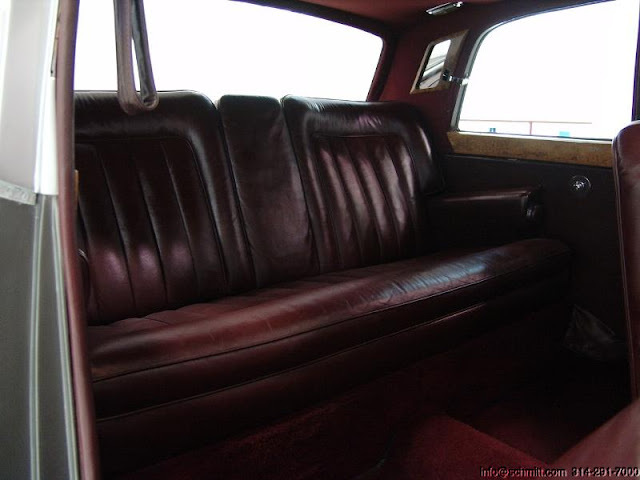 The car is too rare for that. 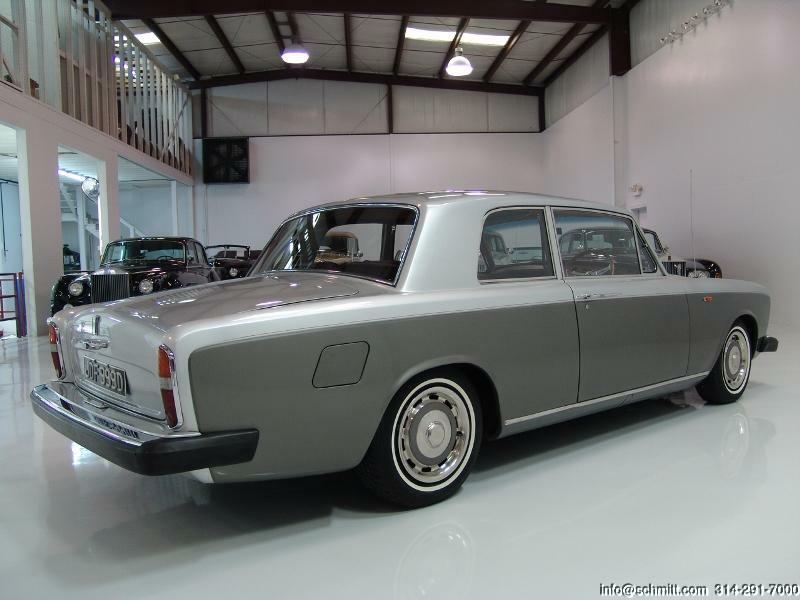 The total production was 50 cars, 35 of them being a Rolls-Royce and 15 a Bentley." A previous post of January 17th 2008 on Bentley Spotting stated "In the late 1960's the RR&B dealer Jack Barclay persuaded coachbuilder James Young to make a 2 door Silver Shadow/Bentley T. He did, and a total of 50 cars were produced. 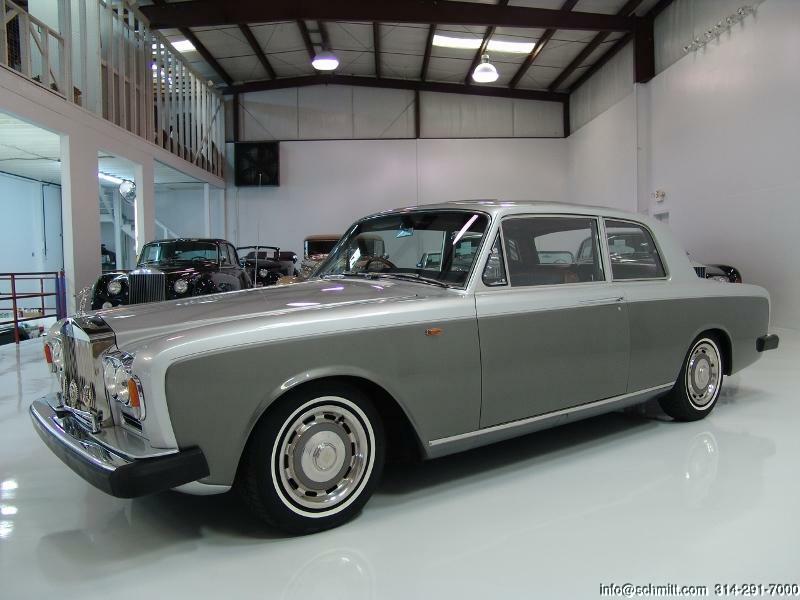 There were 35 Silver Shadow and 15 Bentley T variants." 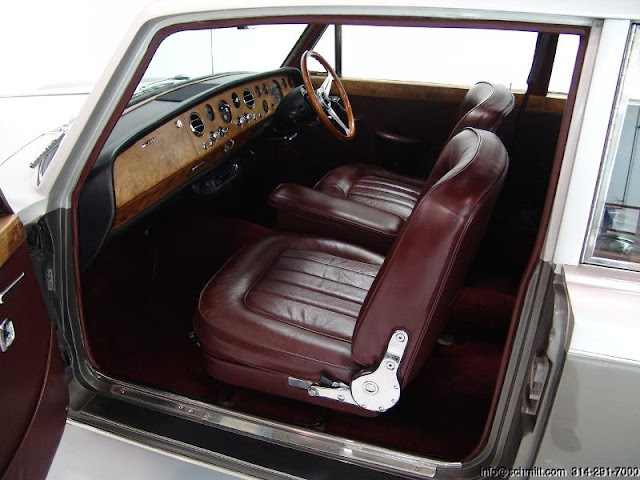 "It certainly is one collectible body type, and the rarest of the Silver Shadow Bentley T type cars that were produced in conjunction with the factory." 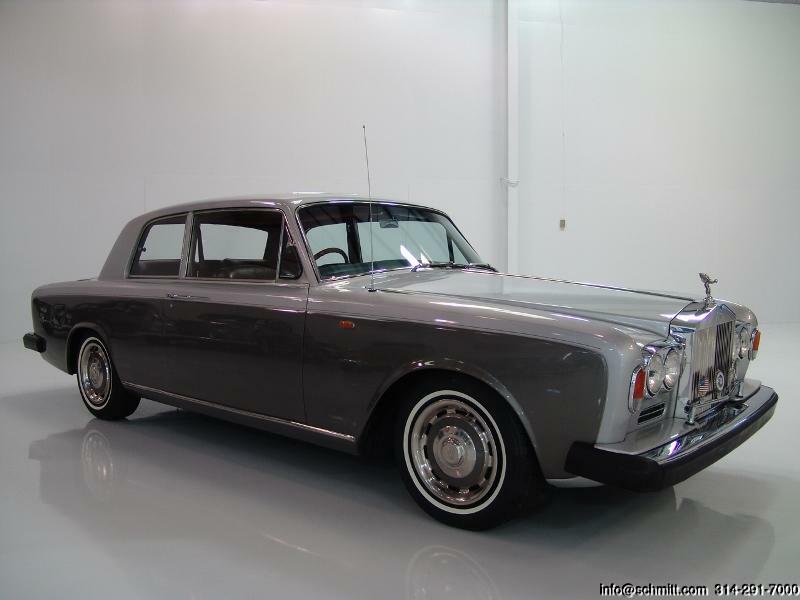 Well this James Young Silver Shadow 2 Door has turned up for sale currently on Ebay, chassis number CRH1264. It has been modified - not distastefully, but not correct for that model. 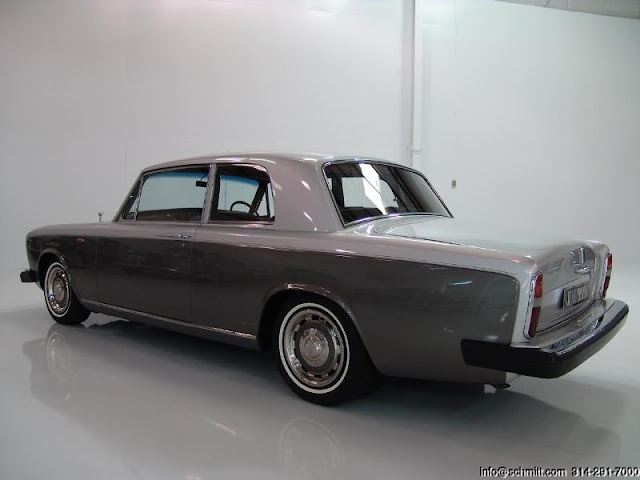 This car now sports 'modern' Silver Shadow II bumpers, vented wheel covers and a deeper Shadow II grille. The one off Pininfarina Bentley T had the same modification in later years, so it's no unheard of - simply upgrading. I wouldn't do such a thing to such a rare car, but whoever did it might as well have gone all the way and given it the late model flared wheel arches. The rubber bumpers don't look right on non-flared cars - as in the 1973 American cars. Buy it here if you want to. Looks a lot less elegant than a Corniche. Why would you bother with this?